Are you responsible for advertising and marketing a local or special event, or perhaps launching a new store opening? How you advertise your company's event can play a crucial role in its success. One way that many professionals are guaranteeing success at their event is through the use of out-of-home (OOH) and outdoor billboard advertising. Digital outdoor billboards or LED signs, in particular, are being used as a creative way to convince a large, diverse audience to attend your upcoming local event. 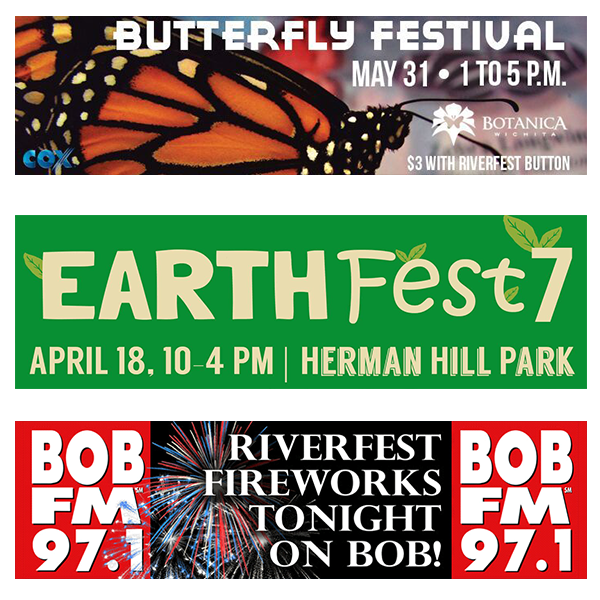 Advertising for local and special events should begin 30 to 60 days (2 weeks is the minimum) prior to the event date. Today the most successful advertising campaigns include a mix of traditional offline marketing tactics (e.g., outdoor advertising) and online advertising promotions (social media, blogging, etc.) Remember you have invested time, effort and dollars in organizing the event so make sure you budget for event advertising and marketing. We have advertising solutions for all types of organizations including annual fundraisers, church charity events, and local live concerts (bands). We also help local sports bars attract fans to watch your favorite football team or UFC fight broadcasts. Regardless of the type of local event you're hosting, or the audience you're trying to reach, billboards have proven to be successful in promoting all types of events. According to a study done by Arbitron National, 58% of drivers 18 and older learned about an event they were interested in attending because of a digital billboard. Without seeing the billboard, many of these potential attendees would never have learned about the event. For creative inspiration and ad design ideas search Special Events in Fliphound’s billboard artwork and ad creative gallery and library or see 20+ of the best and most effective billboard ad ideas and examples for special events. "58% of event marketing participants purchased the marketed product after the event, and 86% of these consumers became regular customers." Attending events gives consumers a fun way to connect with your brand. They get to experience your company in an exciting environment and are likely to form positive first impressions and long-lasting memories as a result. But in order to get them to your event, you must first convince them what a good time they'll have. Digital billboards are a great way of showing them all the fun before the event even begins. One of the ways you can do this is by showing off your brand's personality. Events are fun and your advertising should be too! You can use our digital platform to show images of what to expect at the event or even show fun photos from past events you've hosted. You can build credibility by showing testimony from past event attendees, or create excitement for your upcoming event by providing a live countdown on the billboard itself. See how hundreds of companies, nonprofits and other organizations are using Fliphound and the largest online digital billboard network to reach motorists and drivers who are interested in attending their special event. Whatever you choose to do, your billboard will showcase who you are and why your event is worth attending. Many companies are only given about 20% of their overall advertising budget to spend on event marketing. As a result, advertisers tend to rely on affordable marketing avenues such as email and word-of-mouth. While these forms of advertising may not cost a lot of money, they do cost a lot of time and don't always show results. Digital billboards are cost-effective and lead to positive outcomes. Their large size and bright lights demand attention from people driving by. Americans typically spend 46 minutes driving each day, which allows billboards great exposure to an audience so large that many businesses can only dream of reaching. You can still contact familiar customers on your email list, and engage with people you already know through word-of-mouth, but putting billboards in front of drivers will allow you to reach potential attendees who have never heard of your event, or maybe even your company. Billboards can complement your media mix and serve as your primary way of extending your audience. Adding out-of-home (OOH) billboard advertising to your overall ad campaign can increase the reach of TV by 18%, Radio by 45%, Social Media 212% and Mobile 316%. Also keep in mind outdoor advertising costs less than radio, TV or print on a CPM basis. "By finding an opportunity to interact with the right demographic of people - both current customers and prospective buyers - a brand can build favorable impressions and long-lasting relationships." Fliphound's digital billboards allow you to have an advantage over the market that is hard to find anywhere else. You'll get to experience the benefits of exposing your event to a large audience, all with the convenience of changing and customizing your billboards to fit your event. Timing is everything. We give you the ability to choose when your billboards show and how often. This ensures that your advertising dollars are spent cost-effectively. Advertise heavily as the event approaches, and don't waste a dollar advertising once the event has already passed. Check out Fliphound’s free advertising cost and audience calculator to quickly find rates for billboards in 600+ cities! We understand that advertising an event can be scary, but we want to see you succeed just as much as you do. We have all of the tools to ensure you achieve maximum success in announcing your event. Now you just have to get started! Show your brand's personality and get customers excited to participate. Get the word out to drivers who may be unfamiliar with your company's event or brand. Increase exposure as the event approaches. Find the best place to advertise your event and bring attention to local audiences. "Mega Millions shows how Billboards are Great For Event Advertising"
"Lion King Musical uses Vibrant Billboards to Stand Out"
"Hollywood Bowl Event uses Multiple Billboards to Fill Seats"